The Beatles said it best when they said, "All you need is love". The truth is that we need more than love in many instances, however, it will take care of 80 percent of the journey in my humble opinion. Every time I see love displayed towards another person, it leaks out on any person that is in the general vicinity. This truth is one of the most incredible truths in life. You see it when a newborn baby enters the room, when a small puppy is walking down the street, and of course when you watch people meet at the airport. I referenced puppies and babies specifically because they only know love at their stage in life and that is what they transmit to each and every person. I want to highlight a woman that I know today because she is always helpings others and inspiring them to higher levels with her wonderful fitness and food intake ideas as well as just being extra incredible as a human being. I get update from her Facebook page( Click here to see for yourself!!!!!.) So as I clicked on it this morning, I saw that she and her man were going to clean out their storage space together and that she was literally bragging about how her man is just the best and how grateful she was for him. Seems simple and basic right? So the question is, why does she have over 100 likes on her page because of it? Well, it all boils down to perspective. I would bet the farm that it struck a chord with so many because its what we all want deep down within and so few of us feel that we have that connection with another that is truly authentic and open. The kind of connection that gives consistently and abundantly just because of love. I feel that this woman is a magic woman. Firstly, because I believe in her realness and secondly because she is always in a place of service to all of those around her. I believe that people like this need to be exposed so that those who need this kind of strength can possibly receive it and be transformed. So I celebrate my good friend (Jeni Fujita). 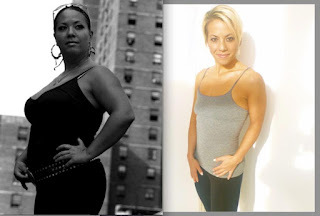 It is a blessing to have her in my world and if you are in the NYC area please visit her boot camps that you can find info to on her Facebook page or (HERE).